Now, according to the latest update, the actor is all set to collaborate with director Seenu Ramasamy yet again. Vijay Sethupathi is quite a busy man with back to back films in the kitty. Now, according to the latest update, the actor is all set to collaborate with director Seenu Ramasamy yet again. Yes, the director made an announcement on the same at the recent audio launch event of ‘Pyaar Prema Kadhal’. Ramasamy, who has worked with Vijay earlier in films like ‘Thenmerku Paruvakathu’ and ‘Dharmadurai’, revealed that he would soon be teaming up with Vijay Sethupathi for a film. The film will mark their fourth collaboration and will be produced by none other than music composer Yuvan Shankar Raja. More details about the cast and crew are awaited. Meanwhile, Vijay’s long-delayed film ‘Idam Porul Eval’ with director Seenu Ramasamy in yet to release. Also, Vijay Sethupathi’s recently released gangster-comedy ‘Junga’, has opened to a mixed response from the audience and critics as well. Besides, Vijay has films like Mani Ratnam’s ‘Chekka Chivantha Vaanam, ‘Super Deluxe’, ‘Seethakaathi’ ‘Imaikkaa Nodigal’ and ‘96’ under his belt. Ajay Gnanamuthu directorial Imaikkaa Nodigal sees Atharvaa, Raashi Khanna, and Nayanthara. The film will also see Bollywood filmmaker Anurag Kashyap in an important role. Imaikkaa Nodigal is one of the Tamil films that the audience is looking forward to. Written and directed by Ajay Gnanamuthu, the film has music by Hip-hop Tamizha while the camera is cranked by ace lensman RD Rajasekhar. Atharvaa will be seen playing a young medico in Imaikkaa. Nayanthara is seen sporting a chic and stylish look while Raashi Khanna is seen in a subtle look. The film has an impressive star cast that includes Nayanthara, Atharvaa Murali, Anurag Kashyap, and Raashi Khanna. Touted to be a revenge story, movie buffs are quite excited to know what’s in the store for them. 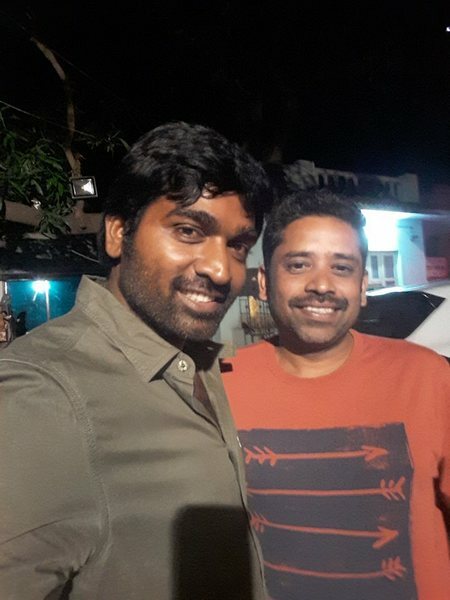 How excited are you for Vijay Sethupathi and Seenu Ramasamy’s next? Let us know in the comments section below.